BES-Scottish Policy Group committee members… in the wild! By Claire LaceySchool of Biology, University of St Andrews. BES Scottish Policy group Committee member, Claire Lacey is a marine mammal biologist based at the Sea Mammal Research Unit. Her research is focussed on studying distribution and abundance of cetaceans. Find out what she's been up to in the Antarctic. At some public engagement training recently, I was tasked with coming up with a succinct way of describing my research area to a non-specialist audience in one sentence. For me, 5 words would do it. I count whales and dolphins. 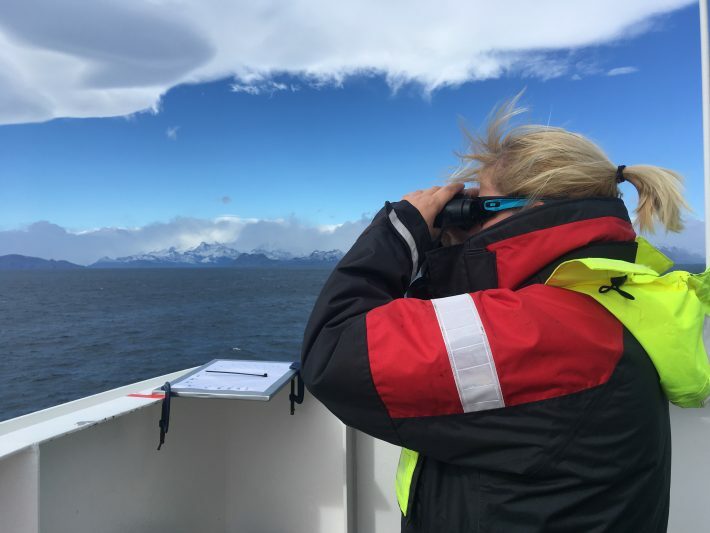 Whilst my usual study area is the North Atlantic – I was recently invited to join British Antarctic Survey for a survey of the waters around South Georgia and the South Sandwich Islands. This multi-disciplinary cruise would be collecting data on oceanography, krill and most importantly (for me) cetaceans. I’m not sure if there is anything more exciting than going to an under-studied field site to collect data. 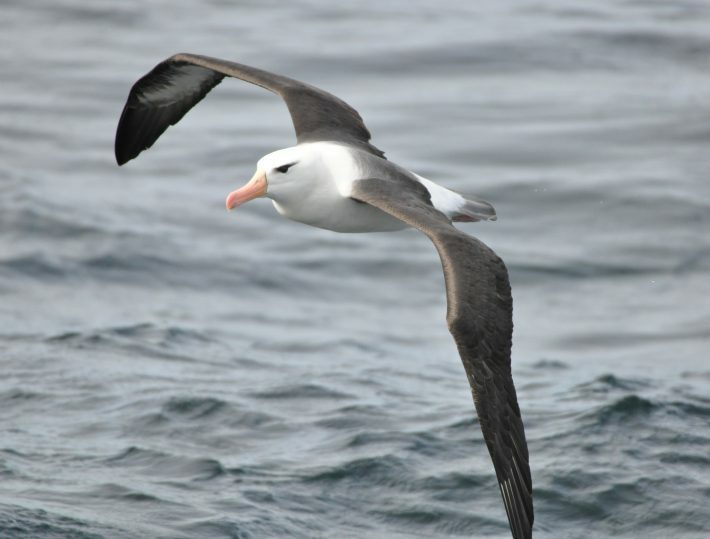 Whilst krill surveys are conducted regularly around South Georgia, and seabird, penguin and seal data are regularly collected on South Georgia – a cetacean census of this sort hasn’t been conducted for 19 years – an opportunity far too good to miss! Known as SOWER-2000, the previous survey was conducted in 2000 to investigate relationships between cetacean density, krill density and oceanographic conditions. As is the way with all of the best projects of its type, this was a collaborative project, used four research vessels and surveyed the Scotia Arc and Western Antarctic Peninsula. 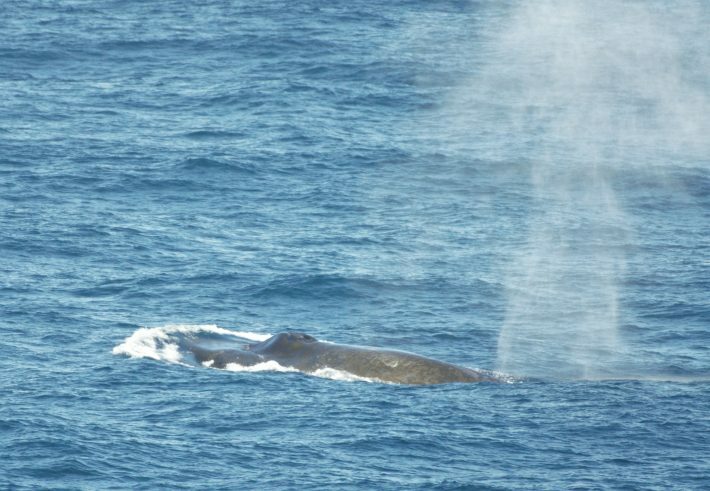 This second survey was designed to collect comparable data and to collect the data required to estimate the distribution and abundance of whales and dolphins in this area. Unlike other areas I’ve worked, here, there really is an abundance of life – its’ a true privilege to witness. Penguins, albatrosses, fur seals, prions and more species of petrel than I knew existed were regular companions as we completed our survey transects. And, of course, there are whales. This area is an incredibly important seasonal feeding area for multiple cetacean species, something that was well known by the early century whalers. The entire ecosystem – not just the cetaceans, but also the penguins, seals and seabirds as well as fish and other marine life is dependent on Antarctic krill – Euphasia superba. This species is targeted by increasing levels of human fisheries, and during its larval stages is reliant on sea ice. Seeing the multitude of life supported by one key species serves as a very powerful reminder of yet another potential impact of climate change. Working in the Scotian Sea isn’t all penguins and humpback whales – this isn’t the whale-watch holiday you’re picturing. The weather (unsurprisingly) is a force to be reckoned with. The sea can be rough, it’s often foggy. It snows. It’s windy. There’s ice. Sometimes all those things at once. Despite the temperature being below freezing, without factor 50 sunscreen your nose gets burned. The hours are antisocial, and conducting field surveys of this type involves many, many hours of staring at the sea, often with scant reward. Even here, multiple watches can go by without sight of any animals. Would I swap these 6 weeks of fieldwork for my regular office hours and comfy desk chair though – not for all the krill in Antarctica.